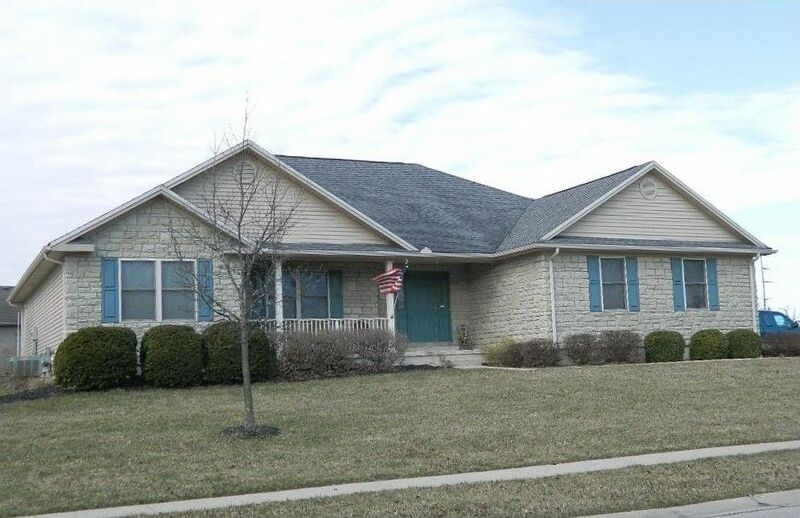 Plum Ridge ranch home with a huge full unfinished basement! This home features a totally open concept with a great room, open dining and study and large kitchen with space for even a serious chef. 3 bedrooms and 2 full baths on the one side with a half bath, utility room and pantry area and garage entry on the other. The covered front porch is great for inclement weather relaxation. Great home, well located for convenience to I75 access points, easy care exterior.